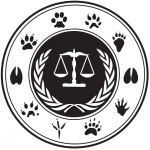 Animal law historically evolved as a field of law that is operated from the domestic level. Consequently, many states view laws on animal welfare as a regime enjoying the status of domaine réservé, i.e. as a protected internal affair. Being a matter of “domestic jurisdiction”, animal law currently escapes authoritative judgment by the international community. However, in an era of globalised trade, business, labor, communication, thinking and values, it comes as no surprise that states develop an increasingly keen interest in the affairs of other states, including their treatment of non-human animals. Regarding the animal issue, especially European states have promulgated their disgust about particular Asian countries’ practices of eating dog and cat meat, while the latter defended their customs by pointing at Europeans’ use of farm animals. The same applies to opposing views on seal products. These being just two examples, the issue is transferrable to other instances, such as different policies about endangered species, bush meat, animal experimentation, shipping, use of animals for entertainment etc. National policies on animal welfare, being contingent on cultural diversity and embedded in traditions, can easily be diametrically opposed. Our in-group or parochialism bias in favour of a specific tradition and thus specific species and practices generates negative effects. (Needless to say, the sharp human/non-human devide is based on a more general in-group bias too.) First, the potential zone for international agreement is significantly diminished. Second, heavily defended but poorly justified practices are employed for a misguided understanding of legal imperialism. Third, parochialism may give rise to a „race to the bottom“ (through competition in laxity), where the state with the lowest protection ends up setting the bar for other states’ level of protection – causing great overall harm. Nevertheless, confrontation may also generate positive outcomes, namely relating to comparative potential. A states’ legislation should be open to criticism by other states, so as to make it more probable that its biases are exposed and eventually corrected. Inconsistency or hypocrisy seems to be an omnipresent phenomenon in animal protection laws. Often, the results of a rational analysis are obvious: E.g. there is no reasonable substantiation for the prevalent bipolar practices that accord extensive legal protection to some animals but almost completely deprive others of it, cf. the distinctions between “pets” and other animals, or the inconsistencies that arise in the context of the “farm animal” vs. “lab animal” distinction. Similar to other political issues where significant divergence and tension exist, there may still be many areas where states can reach mutually beneficial agreements, possibly trading certain values – or, better still, there’s the potential for locating or increasingly creating genuine agreement of opinion through discussion. Various treaties concerning animals’ welfare have been signed and ratified on the international plane and thus represent an explicit indication of common ground. Examples are the Convention on International Trade in Endangered Species of Wild Fauna and Flora 1963, the Convention on Biological Diversity 1992, the Protocol on Environmental Protection to the Antarctic Treaty 1991, the International Convention for the Regulation of Whaling 1946, the Convention for the Conservation of Antarctic Seals 1972, the Agreement on the International Humane Trapping Standard 1997, and the Terrestrial and Aquatic Animal Health Codes by the OIE. (As is apparent from the list, animal welfare is still thought of as very closely tied to environmental protection. Unfortunately, the ensuing focus on “species” may be detrimental to the well-being and rights of individual animals.) On a regional level, five conventions are of principal interest: the Council of Europe’s European Convention for the Protection of Animals Kept for Farming Purposes 1978, the European Convention for the Protection of Animals for Slaughter 1988, the European Convention for the Protection of Vertebrate Animals Used for Experimental and Other Scientific Purposes 1986, the European Convention for the Protection of Pet Animals 1987, and the European Convention for the Protection of Animals During International Transport 1968. The sphere of protection and the species subject to regulation, however, are fairly limited. The vast majority of animals remain legally invisible. In the past years, multiple legal scholars have put effort into examining animal welfare obligations under customary international law (CIL). Very roughly, CIL refers to general practices by states over a significant period of time accompanied by a sense of legal obligation. The crux of CIL is that states may become obliged to adhere to a global practice if they do not expressly object to it. Vice versa, their tacit behavior may be interpreted as consent to a prevalent practice. Against this background, Catherine Sykes has analysed the existence of the principle of humane treatment under CIL. She argues that an ever-increasing number of states have adopted not only anti-cruelty laws to protect animals, but have in fact legislated on a policy of humane treatment of animals that goes much farther than the former. The principle of humane treatment is characterized by a certain level of generality, comprising the avoidance of unnecessary pain and suffering. In order for such a practice to develop into a norm of customary nature, it must meet some consistency in practice. This is where defying national laws giving preference to some species or practices only may be of negative relevance. Sykes concludes that the current level of hypocrisy as well as the lack of congruence of rules and actions which we approach animal welfare with is too corrosive to its credibility as a CIL norm. On the positive side, she believes that such a norm is currently under construction and hopes that an international and cross-cultural shared understanding of our common obligations to other animals will eventually prevail.